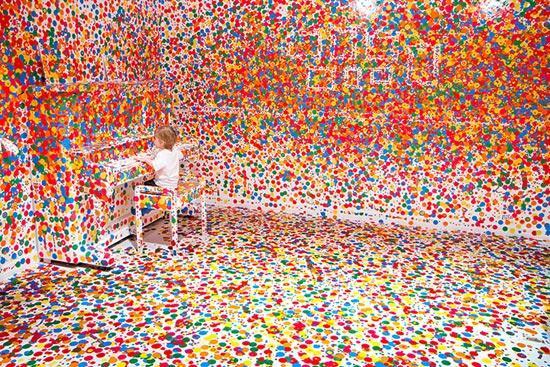 Yayoi Kusama is a Japanese artist, whose work obsessively deals with pattern, repetition and accumulation. 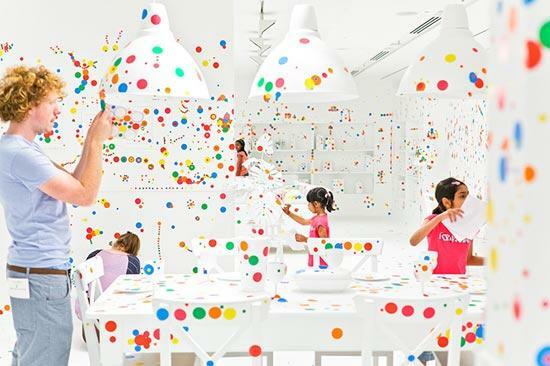 Over the 60 years of her practice, going back to the late 50’s, Kusama’s oeuvre has engaged performance, film-making, painting, drawing, sculpture, installation, fashion, poetry, fiction and public spectacles (or ‘happenings’). 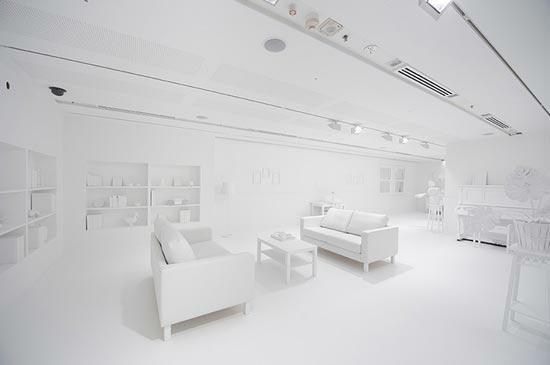 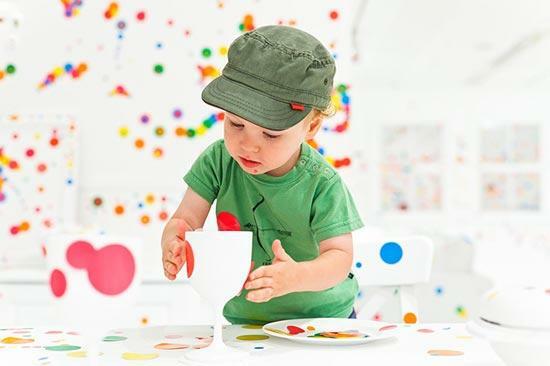 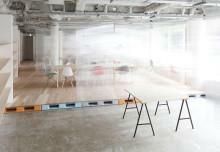 The obliteration room, is an interactive children’s project developed by the artist for the Queensland Art Gallery as part of the ‘Look Now, See Forever’ solo exhibition. 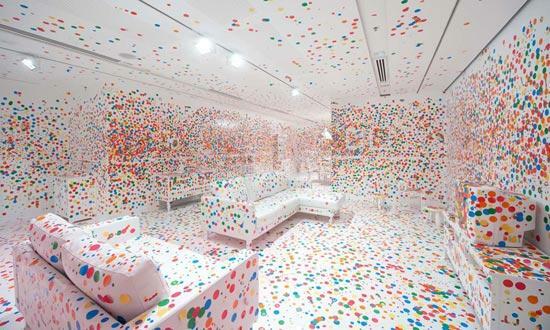 The installation deploys notions of domesticity in creating a white washed interior environment that functions as a blank canvas to be “obliterated” – in Kusama’s vocabulary – through the application to every available surface, of brightly coloured stickers in the shape of dots.